Leaders of Israel’s large Palestinian minority have begun creating an alternative syllabus for Arab schools, in what they are terming “a revolutionary” step towards educational autonomy. It will be the first time in Israel’s history that the Palestinian minority has tried to wrest control of the curriculum taught in Arab schools from the Israeli education ministry. The move follows the ministry’s decision to revise the civics textbook, a central part of Israel’s matriculation exam. Traditionally, civics has been the only subject that uses the same textbook in both Jewish and Arab schools. The changes have triggered a wave of protest from Israeli civics teachers’ associations. They have urged members to boycott the new textbook, due to be published in the next few weeks. The move is likely to face stiff resistance from Israeli officials. Successive governments have refused to countenance educational autonomy for Israel’s Palestinian minority. Israel’s 1.6 million Palestinian citizens are a fifth of the population. Education officials have been accused of downgrading democratic values to place a much greater emphasis on Israel’s Jewish character. Mohammed Barakeh, head of the High Follow-Up Committee, a coalition of the main Palestinian political factions in Israel, told Al-Jazeera that he had approved the decision to issue Arab schools teachers with an alternative civics course. He said the ministry’s new textbook had pushed the Arab education system to “crisis point”. Although Palestinian and Jewish students are segregated in Israel, the curriculum in Arab schools has always been strictly controlled by Jewish officials, Asad Ghanem, a politics professor at Haifa University, told Al-Jazeera. The Follow-Up Committee has given Ghanem responsibility for overseeing the development of an alternative civics curriculum in time for the next academic year, in September. The Palestinian leadership in Israel has grown increasingly concerned about the direction taken by the education system since Naftali Bennett, leader of the far-right settler party Jewish Home, took over the education ministry last spring. Dirasat, a legal and social policy think-tank based in Nazareth, will take charge of writing the new curriculum sent to Arab schools. Dalia Halabi, its director, said a survey of the existing curriculum by Dirasat and ACRI, an Israeli civil rights group, found that it had become increasingly right-wing and nationalist. Ghanem said control over civics was vitally important because it determined the values of the next generation. “Since [Benjamin] Netanyahu came to power in 2009, efforts have intensified to delegitimise the Palestinian minority’s standing in every field – politics, education and culture,” he said. The textbook produced by the Follow-Up Committee would present the Palestinian minority’s perspectives on major historical and political issues that had always been excluded from the Israeli curriculum, Ghanem added. Among them would be discussions of the Nakba, the mass dispossession of the Palestinians during the 1948 war that created Israel, and a critical analysis of Israel’s definition as a Jewish state. He said he hoped other parts of the ministry’s curriculum, especially history and religious studies, would also be rewritten in the future. The Follow-Up Committee intends to make the new civics material available online for parents. Ghanem said the break with the official curriculum became inevitable after work by the education ministry on the new civics textbook – which has not been updated since 2000 – accelerated rapidly under Bennett. Israeli education officials have conceded that no member of the Palestinian minority was involved in drafting the text. Ghanem said he had been contacted for his comments on an early draft two years ago, before Bennett’s tenure, and had sharply criticised it. He never heard back from the ministry. Amru Aghbaria, the only Palestinian on the ministry’s professional committee advising on the civics curriculum, resigned last December. In his resignation letter, he said he was being used as a “fig leaf for an improper process”. He also noted that the most recent government figures, for 2014, showed half of Palestinian students failed the civics matriculation exam, up from 37 percent two years earlier. The failure for Jewish pupils was just 21 percent. 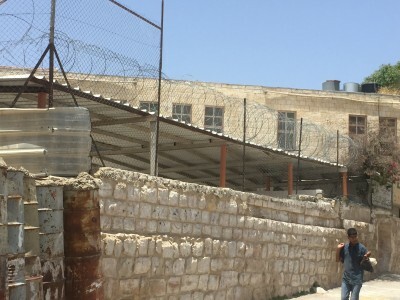 Ghanem said the high numbers of students failing the exam reflected the difficulties for Palestinian students of relating to the existing curriculum. Palestinian leaders in Israel have long complained about massively discriminatory budgets favouring Jewish schools, and a shortage of thousands of classrooms and teachers in Arab schools. As a result, Palestinian students in Israel have on average much lower scores in exams than their Jewish peers, with the gap growing in recent years. Fears that the situation will deteriorate further with the introduction of the ministry’s new civics course were heightened in January when Bennett defended the changes. “Are we ashamed of the fact that the state of Israel is a Jewish state?” he said on Army Radio. Last month he was also reported to have ousted the ministry’s chief scientist, Ami Volansky, over his efforts to tackle racism in Israeli schools towards ethnic minorities. The index was intended as a response to the murder of a Palestinian teenager, Mohammed Abu Khdeir, by Israeli youths in Jerusalem in July 2014. Although the ministry produced the new civics textbook amid great secrecy, leading Jewish educators who have seen the final text to complain that it is riddled with factual inaccuracies, maligns the Palestinian minority, and discounts democratic values. Revital Amiram, who recently demanded that her name be removed from the final textbook, told Al-Jazeera that she was “deeply unhappy” about the revisions made to her chapters. They included a “highly misleading” quote from a Palestinian member of the Israeli parliament in 1949, praising Israeli democracy. She noted that the Palestinian minority was living under military rule at the time and such quotes did not reflect wider opinion. The education ministry was unavailable for comment. Controversies have beset the ministry since Bennett took over. A novel about a romance between a Jew and Palestinian was banned from schools because it encouraged intermarriage. Funds on “pluralism” education have been cut, and left-wing groups like Breaking the Silence barred from entering schools. Last month six members of the Council for Higher Education resigned, accusing Bennett of abusing his powers over appointments. Some 1,500 academics have expressed no confidence in Bennett. Jonathan Cook is an independent journalist based in Nazareth and winner of the Martha Gellhorn Special Prize for Journalism. You can read all Jonathan’s recent reports and commentaries on his website, the View from Nazareth, and on his blog. Reader comments and discussions are encouraged and take place on Jonathan’s Facebook page. Please visit this page.